Clear Health Psychology is a private psychology practice located in Mount Lawley, Subiaco, Claremont, Fremantle, Hillarys and soon to open an additional site south of the river. Due to an increase in referrals (our reputation for exceptional mental health delivery) we are looking for multiple Psychologists and/or Clinical Psychologists to join our team at either of our various practices. Clinical psychology registrars or psychologists looking to fulfil experience across the lifespan may also be interested in our WAPHA contract roles. This role involves onsite psychology in residential aged care facilities who are in demand of psychological services (individual and potential group work). We have some capacity to offer opportunities to new clinical graduates who are eligible for AHPRA registration. Our professional Psychologists have extensive experience across a broad range of clinical areas and have a passion to empower their clients. In addition to being highly skilled they bring a warmth and understanding to formulate change in the life of their clients. We are also committed to providing a lovely working environment that we all come to work to enjoy. We are particularly in need of those with child psychology experience and clinical psychologists. 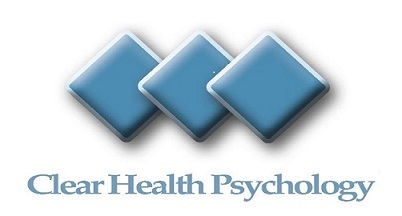 We are one of the largest psychology practices in Western Australia and offer a generous contractor split. Our business has expanded due to the directors working in the business and showing care for both our clients and clinicians. All of our practices provide ample free parking and full administration support is provided. We have multiple referral streams and strong relationships with medical centres across Perth. All of our practices provide flexible hours open from 730am to 830 pm Monday to Friday and 730am to 230pm Saturdays to fit in with clients and clinicians. You may be a sole practitioner who is tired of the administrative aspects of private practice and wish to bring an existing case load across. Or you may like an environment that provides the opportunity to network with colleagues on a daily basis. If that is the case then Clear Health Psychology may be the ideal environment for you.